Drawing on the successes of her previous books, this novel by Dr. Murray again echoes the maxim that “art holds up a mirror to life.” Her literary brushstrokes clearly carry the reader through a brilliantly realistic flow of life that each of us can recognize and relate to. Anne R. Murray was born and raised near Atlanta in Marietta, Georgia, to well-educated parents who adhered closely to the Christian ethos typical of natives in that part of the nation. Motivated by the challenges of helping others, Anne became a successful high school teacher there. She increased her skill and ability in the classroom by earning a doctorate degree in education from which she eventually took a well-earned retirement. Like her previous works, this is an easy read that holds the attention while taking one on a roller coaster through life’s turmoil in a hick Midwestern town. Th e details that she paints make it easy for the reader to identify with the characters, scenes, and situations that make up the challenges for Julia, the story’s central character, of American Indian heritage. 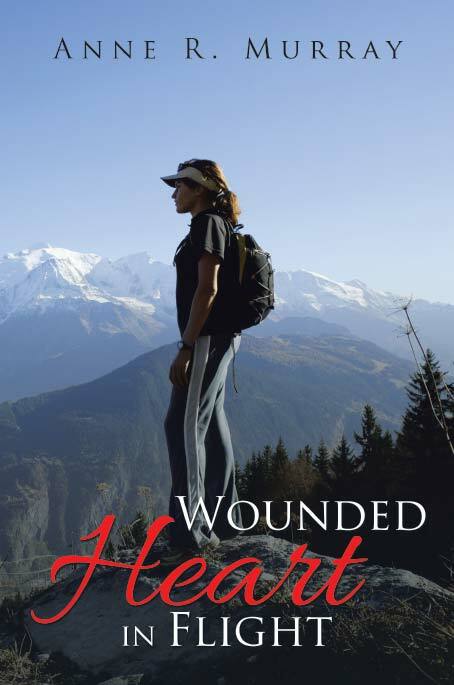 May you too enjoy the panoramic view of life that “Wounded Heart in Flight” paints as you read the latest work from this delightful author.